COASTAL NORTH CAROLINA — The sixth year of the North Carolina Coastal Federation Lost Fishing Gear Recovery Project is set to kick off this week. 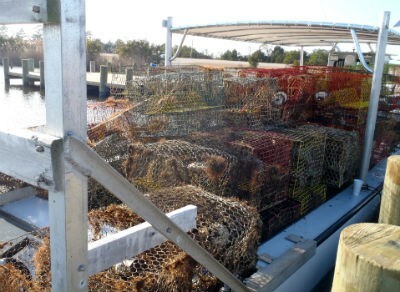 Seventy-eight commercial watermen are expected to work along the coast starting around Thursday to collect lost crab pots in the state’s sounds, the federation announced Monday in a press release. These cleanup efforts are timed with the annual closure set for Jan. 15 to Feb. 7 of internal coastal waters to all crab, eel, fish and shrimp pots, commonly called the “no-potting” period. The federation is working with North Carolina Marine Patrol for the project funded with $100,000 from the North Carolina General Assembly. 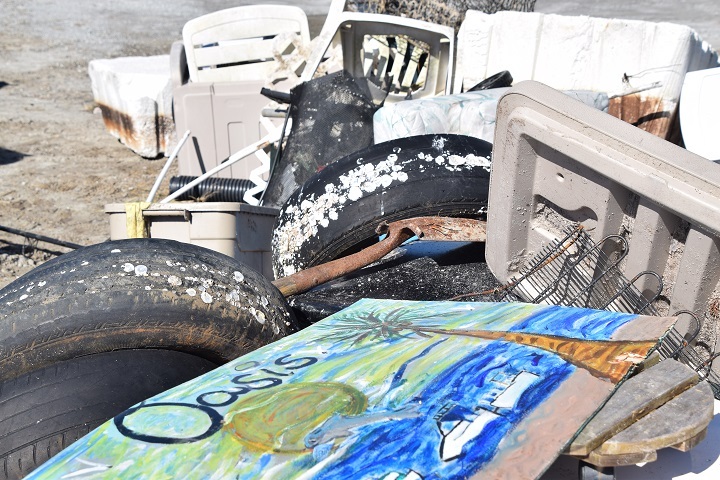 The project received grants the first year of the effort in 2014 from North Carolina Sea Grant and the National Oceanic and Atmospheric Administration Marine Debris Program, when the cleanup only took place in the state’s northeastern waters. The project expanded statewide in January 2017 to all internal coastal waters using continued funding from the General Assembly. During the 2018 project, more than 2 million acres of waterways were canvassed to recover a total of 3,496 crab pots by 76 watermen along the coast. The pots, which can become lost in a variety of ways, pose a hazard to boaters and wildlife. This year, the federation received more than 60 applications and 39 crews have been selected to assist with the on-water cleanup. With the combied efforts of the commercial license holders and marine patrol officers, this project aims to improve fish habitat and water quality and supports the coastal economy. Once the pots are collected, they are recycled to the best extent possible. Sara Hallas, coastal education coordinator for the federation and project leader, said she’s excited to cleanup the waterways and create opportunities for work during this time of the year. The federation kicked off this campaign Jan. 12 with different volunteer cleanup events at locations along the coast. The Wanchese office focused its efforts near the public boat ramp in Rodanthe in partnership with Dare County. 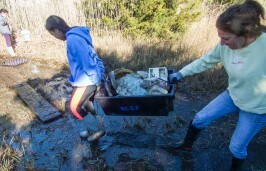 The central and headquarters office hosted a volunteer cleanup at Hoop Pole Creek Natural Trail in Atlantic Beach. The federation’s Wrightsville Beach office partnered with the North Carolina Coastal Reserve and Keep Onslow Beautiful to cleanup Morris Landing Clean Water Preserve.